For the first time in history, two women, Capt. Kristen Griest and 1st Lt. Shaye Haver, have graduated from the U.S. Army Ranger School. Averaging a 20-hour training day and asked to function on only 3.5 hours of sleep, I’m blown away by the mental strength, agility, and toughness. 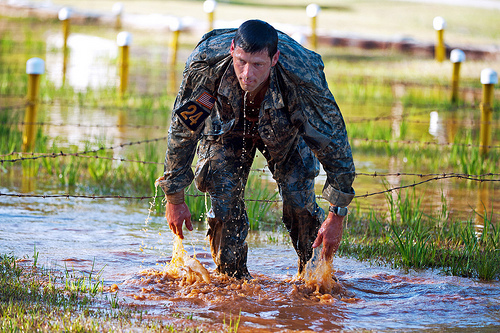 Soldiers must traverse a log 35 feet in the air above a pond. Once across the log, they must navigate a rope crawl (also 35 feet high) and jump into the water. Then they must climb a ladder to the top of a 70 foot tower, go down a pulley and back into the pond. Students fail if they show any hesitation, fear of water, heights, or not completing the course correctly. Students are given a predetermined number of locations and need to navigate to them correctly. Only flashlights with red lens filters can be used to see the maps. Any other use of the flashlight means disqualification. In a loaded foot march, one carries a load on one’s back in full gear. This must be completed in less than 3 hours. The mountain phase includes 4 days of mountain training and 4 days of combat training near Dahlonega, Georgia. 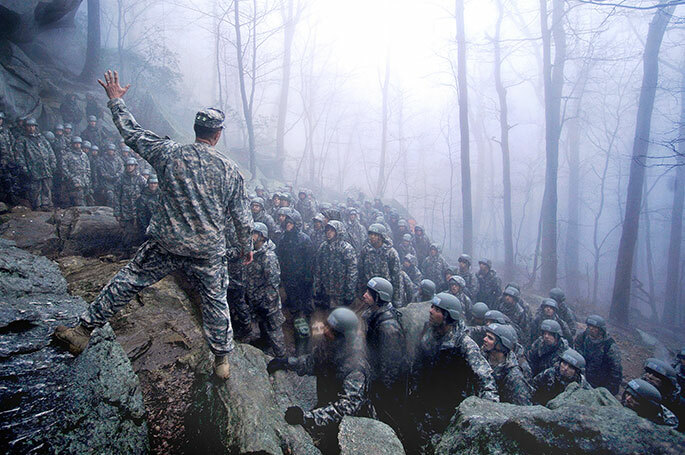 Soldiers have to deal with extreme elements including belaying over rugged mountainous terrain, river crossings and severe weather exposure including heat, frostbite, poison ivy, and more. Phase 3 takes place at Camp Rudder near Valparaiso, Florida. Here, students are trained and asked to execute tactics that simulate boat and air assault missions. With extreme humidity, swampy conditions, and dangerous wildlife and reptiles like crocodiles and snakes, this phase is taxing on everyone. 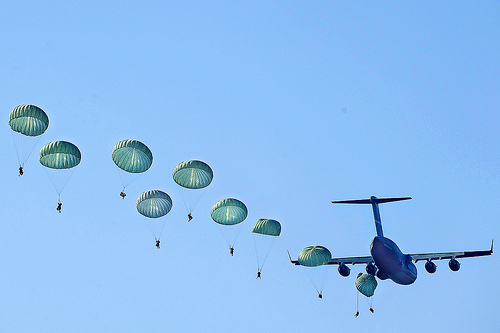 In this final phase, soldiers also have to make a parachute jump.